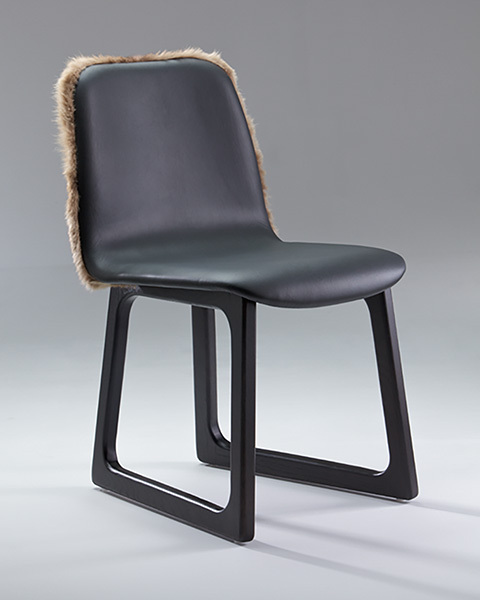 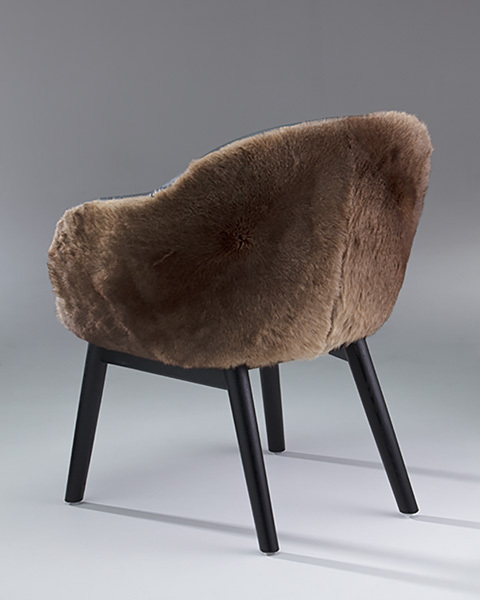 Bespoke furniture pieces designed by Ross Didier, originally created for Melbourne’s Vue de Monde, explore the uniquely sustainable craft of designing with kangaroo pelts and their beautiful leather hides. 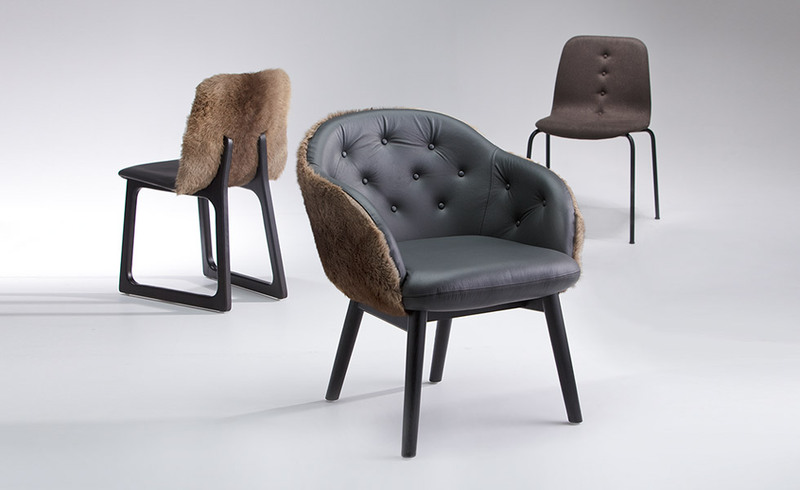 Evoking the shapes and forms of pre-industrial tilling ploughs and very much connected to the earth, the Tiller seating collection is crafted using select American Oak and beautifully tailored upholstery. 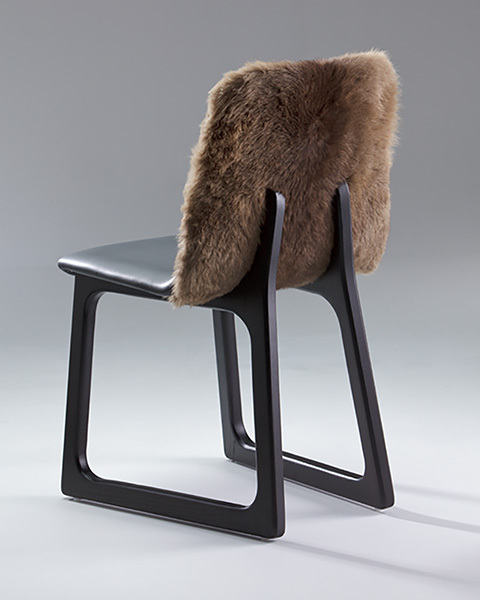 Chairs, lounges and high stools exude their unique character through skilled details where the engineering is disguised within a sculpted aesthetic. 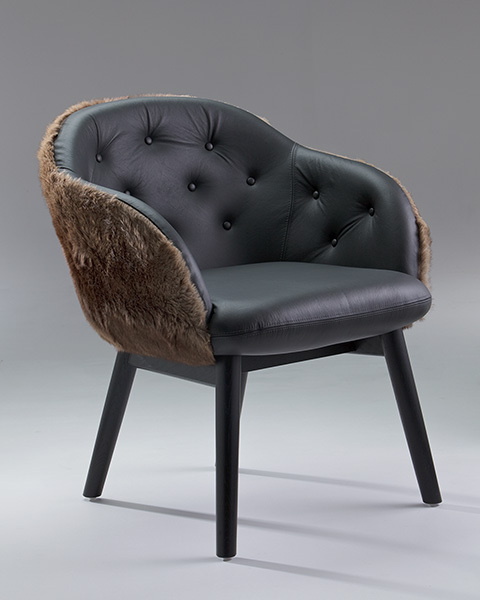 Tiller seats are upholstered with a wide selection of quality fabrics or leathers and the timber frames are offered in natural solid oak or stained to a deep, rich walnut to retain the bold personality of grain.